When I purchased my first CNC router, a Shop Sabre 4896, in the Fall of 2016 I didn’t even know what we were going to make with it. After getting it set up and running I was delighted in how quickly we were making custom cabinet parts on it. It wasn’t long before we were using it on most projects. We are finding new ways to integrate this machine into our business all the time. One new application of the router for us is custom wood signage. 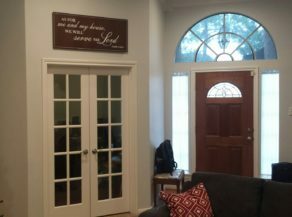 Because we are custom woodworkers and build high-end cabinets and furniture we have a huge advantage on building wood signs over the average sign shop – we know wood, veneers and finish techniques. The artistic design element involved in this process makes this a real pleasure for me. One of these projects was for my daughter. 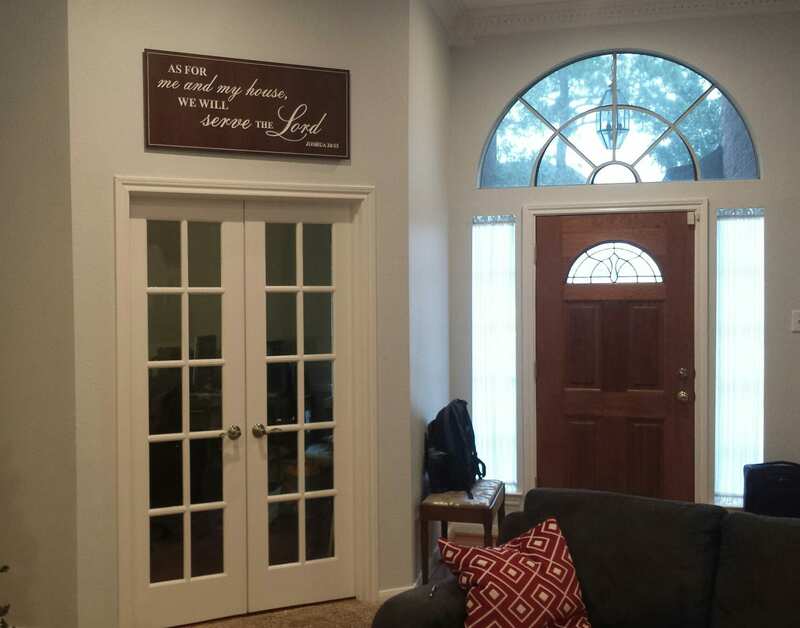 She wanted a special sign for their new home featuring a verse from Joshua that says, “As for me and my house, we will serve the Lord.” My wife and I couldn’t be more proud of her and her husband for displaying this sign in a predominant place in their home! 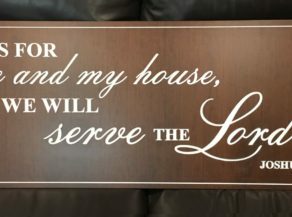 The sign is made from a quarter-sawn cherry veneer panel that is stained and finished to go with their dining room table. Copyright © 2019. Jim Farris Cabinets. All Rights Reserved.